St. Brieuc is a town in the Côtes-d'Armor region of France. 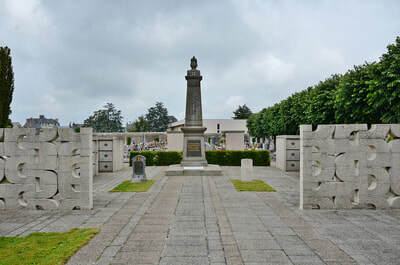 St. Michel Cemetery is located to the North-East of the town. From main entrance walk straight down main avenue and turn first left. 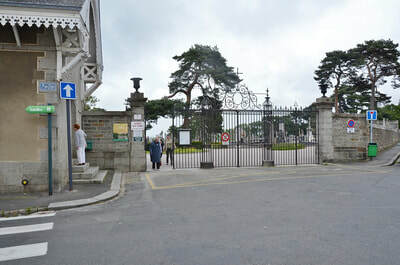 The military plot is a little further on the right hand side. One serviceman is buried in grave 38 of "carre D" (the Military Plot, with a monument to the 71st Infantry Regiment). 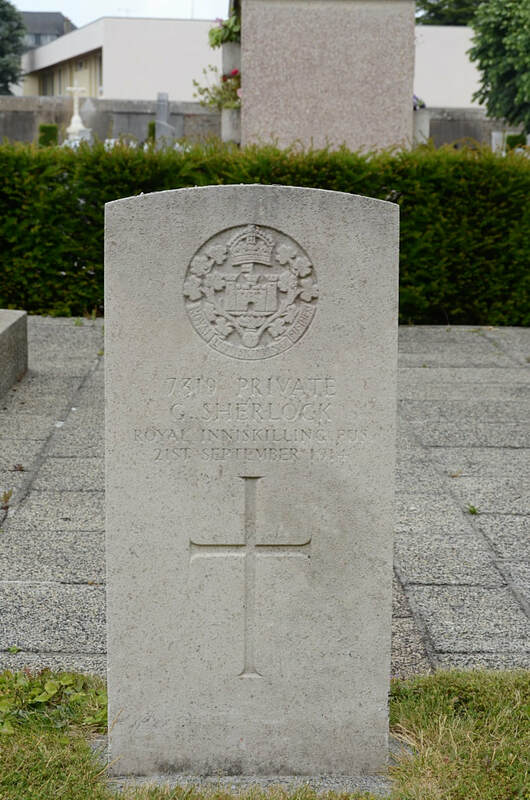 7319 Private G. Sherlock, 2nd Bn., Royal Inniskilling Fusiliers, died 21st September 1914.